On the back of the company's industrial strength and expert craftsmanship passed down year after year, Arthur Bonnet is more committed to sustainability than ever. 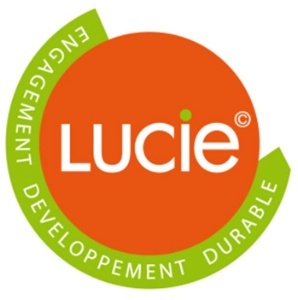 The Lucie label was created in 1998 on the initiative of the “Qualité France” association and 2 certification bodies: AFNOR and VIGEO. This label stems from the international ISO 26000 standard concerning corporate responsibility and is particularly well-suited to SMEs concerned with structuring and promoting their global responsibility approach. Arthur Bonnet is the 1st kitchen manufacturer to have certified its sustainability approach. The Arthur Bonnet brand is always at your disposal thanks to Qualiplus*, an innovative quality approach implemented to assess your satisfaction at every stage of the purchase process. 2 months after the installation of your Arthur Bonnet kitchen, you will be contacted by email or telephone and surveyed about your experience. 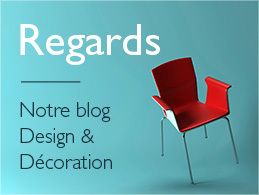 The survey is very detailed: store appearance, quality of your relations with the designer-decorator, quality of the installation…the entire purchase process is covered to fully assess your overall satisfaction and develop, if necessary, any specific actions in stores, to better meet your expectations. *Only available in some stores. In terms of energy, the company is a flagship for the kitchen industry, one of the first to choose a green electricity supply with 25% guaranteed to come from renewable energy sources. The factory is focused on reducing its pollutant waste and is using technological innovation to lower its use of solvents in lacquers and paints, replacing them with water-based products. The lacquered doors are for the most part manufactured in a workshop certified with the international ISO 14001 standard. 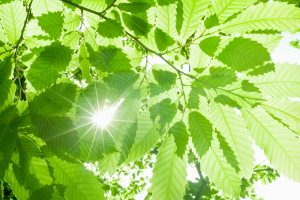 Our use of PEFC and FSC chipboard helps promote sustainable forest management. The panels used to build the furniture have an improved formaldehyde content with an E1 grading. Waste is sorted upstream and is systematically reconverted. For Arthur Bonnet, a sustainability policy also includes good working conditions and respect for people. The percentage of disabled employees is higher than the regulated minimum; we manage exposure to wood dust and VOCs on an individual and personal basis; we hold continuous improvement workshops to improve work conditions. These principles help us continue our sustainability development, to avoid compromising the environment for future generations. 2012: Creation of our Charter on equality between men and women with key focuses on training and professional promotion. 2013: Creation of our ethics guidelines. Consumer law: Arthur Bonnet systematically has all its advertising approved by a specialised law firm to guarantee the information provided to customers complies with current legislation. 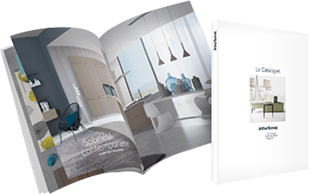 20-year guarantee: our furniture has a 20 year guarantee for any damage resulting from a manufacturing fault except for the doors (10 years), worktops (5 years) and accessories including handles, interior fittings and electrical systems (2 years). The hinges and runners are also guaranteed 20 years under normal operating conditions (excluding the lift, bi-fold and raised systems which are guaranteed 10 years). Our eco-responsible approach is also reflected in our local choices: use of mainly French suppliers for raw materials; optimized truck loading to reduce carbon emissions. 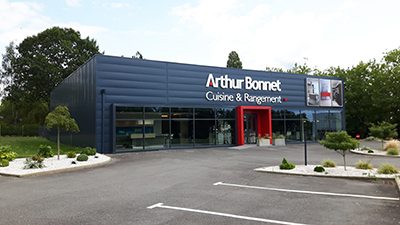 Arthur Bonnet proudly flies the flag for “Made in France” product values and is the first kitchen manufacturer to receive the Guaranteed French Origin label. The company is also firmly established in the region where it plays an important economic role. The company has had an important impact on the lives of 196 local families. Equality between men and women : At Arthur Bonnet, women represent 29% of the workforce. 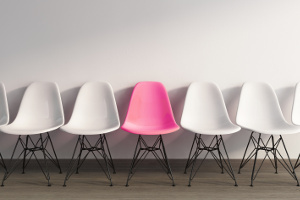 Between 2012 and 2013, Arthur Bonnet increased the number of positions occupied by women at all company grades. In 2012, Arthur Bonnet negotiated a Personnel agreement with its social partners which defined two key areas for improvement: professional training and professional promotion. Executive committee : The Arthur Bonnet executive committee includes representatives from all company departments. Business results : The company’s accounts are audited every year by an independent third party. Furthermore, the company sends monthly results to all of its employees.